This colour of this vase has been very difficult to capture. It has proved even more difficult to describe, a sort of muddy yellow green. To the naked eye it is greener than it appears in the picture. 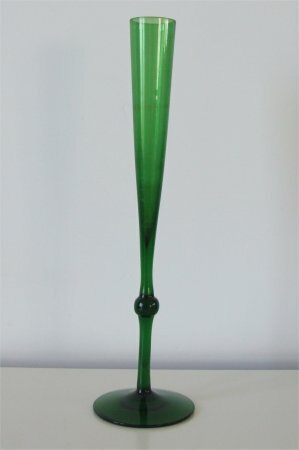 The vase is approximately 251mm (9 & 7/8ths inches) tall. 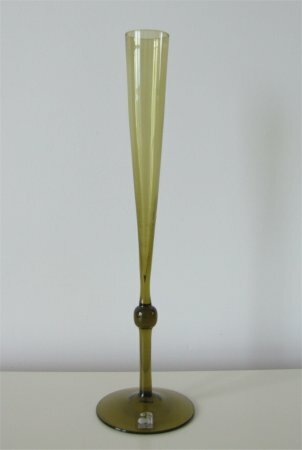 It has a small knop on the stem, and stands on a 'wine glass' type base. 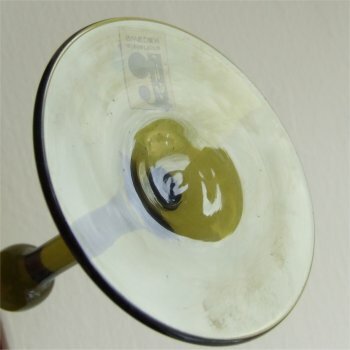 The bottom of the base is slightly concave with a deeper dip in the middle. The stem measures approximately 28mm (1 & 1/8th inches) across. The label is clear plastic and an oblong (portrait) shape with a silver logo and lettering. 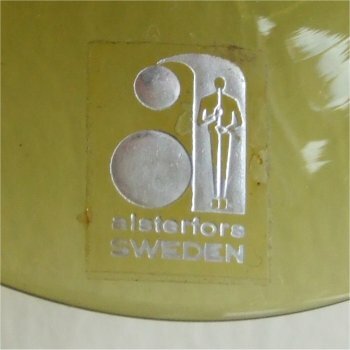 The lettering states "alsterfors SWEDEN" and above that a stylised letter 'a' with a picture of a man blowing glass within it (see images below). 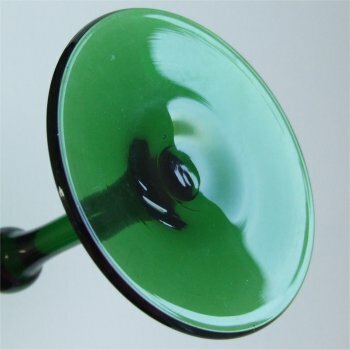 Below is an identical vase in green, but without a label. I have also seen one in a muddy blue colour.